Algeria ruling party backs Bouteflika for fifth term - SABC News - Breaking news, special reports, world, business, sport coverage of all South African current events. Africa's news leader. Mouad Bouchareb, party member of Algeria's National Liberation Front (FLN) member and speaker of the lower house of the country's parliament. 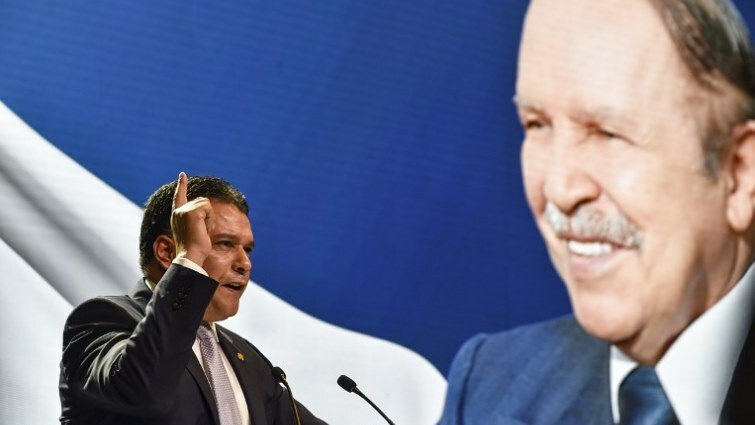 The declaration came a week after the ruling coalition — comprised of the FLN and three other parties — backed Bouteflika for the April 18 poll. Prime Minister Ahmed Ouyahia said on February 2 “there is no doubt” the president would seek a fifth term. This entry was posted on 09 Feb 2019,05:48PM at 5:48 PM and is filed under Africa, News, Homepage Latest Stories Slider. You can follow any responses to this entry through the RSS 2.0 feed. Both comments and pings are currently closed.